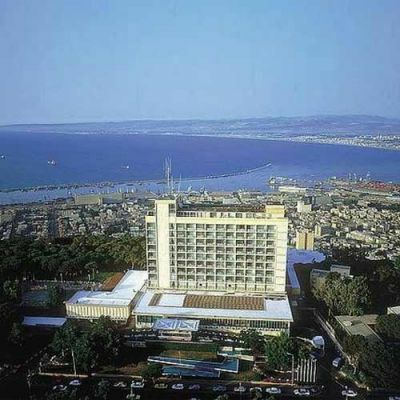 As the first exclusive hotel in the City of Haifa, The Dan Carmel's perfectly placed mountain top location allows for panoramic views over the Mediterranean Sea and a breathtaking backdrop. Overlooking Haifa Bay, and the Galil & Golan Landscape, the sheer magnificence is simply heart-stopping. Danyland is a Dan Hotels special attraction, designed to keep kids happy and active while their parents relax and tour. Danyland programs take place in summer, during Jewish holidays, the Christmas period and other vacation times. Our great team of counselors are all set to give Danyland members the time of their lives. New Swimming Pool-A modern, seasonal, open and heated swimming pool offering a seating area and shaded relaxation in the water. A seasonal, heated and shaded toddlers' pool. Gym:the gym is for the use of hotel guests only.Admission to the hotel's modern gym is free for hotel guests.The most up-to-date and advanced gym facilities are available for the use of the guests.Admission to the gym is for guests aged 18 and above. Treatment Room-A treatment facility for various massage treatments for hotel guests. There is an additional charge for the treatments, based on the type and duration of the massage therapy.